There is a new research website tied to Ctrl-Shift that we are calling the Creative Technologies Research Lab (CTRL). We envision the continued collaboration between research and practice. The CTRL website will have updates on our NSF projects and activities. We will at the same time also continue to post practical implications from those research efforts on the CTRL-shift website. We invite you to visit the new CTRL website today! Check out the table of Universal Design for Learning (UDL) and computer science education. It is one tool that you can use in thinking about including academically diverse learners. Here’s the link to the research presentation we did at MSTE last semester. Our doctoral students did a remarkable job presenting all the great research that we are doing in CSforALL. For the past few weeks, we have been discussing and investigating democratic models of schooling as a way to create the autonomy needed for innovation. First, we have been viewing and sharing the video, “Good Morning Mission Hill“. The video documents a teacher-run school Pilot School in Boston. Next, a group of four Kenwood teachers and I (George Reese) had a wonderful meeting with Deborah Meier on Friday 4/24/15 in Chicago. Talking with her was an inspiration for all five of us. Now we are investigating different components of democratic schooling and performance assessment. For example, The Coalition for Essential Schools, The Boston Pilot Schools Network, and the Performance Assessment Consortium in New York. This flowchart is a graphical representation of the constructs within the Collaborative Computing Observation Instrument (C-COI). 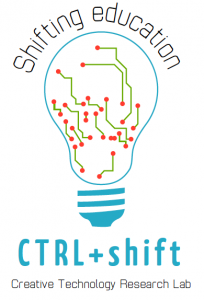 CTRL-Shift is a professional and social group comprised of K-12 school practitioners, community members, entrepreneurs, & faculty and staff at the University of Illinois at Urbana Champaign. We gather to discuss and celebrate computer science in the K-12 schools as well as support and research school-based implementation of computational thinking.